For better or worse, I have never watched the Investigation Discovery show Welcome To Murdertown. In fact, I had never heard of it until yesterday. Fortunately for us, however, reader Trevor Johnson watches it, and he spotted something odd while watching Season One, Episode Six. As you can see above, it’s reenactment of a scene that supposedly took place in April of 1990, featuring a guy wearing a Nike-made Vikings No. 7 jersey. 1. In April 1990, Christian Ponder was two years old. 2. In April 1990, that jersey design with the white side panels and the rounded-serif numerals did not yet exist. It debuted in 2006. 3. In April 1990, Nike had never manufactured a Vikings jersey. That would not happen until 2012. In fact, 2012 is the only year that Nike made that jersey design, complete with the Nikelace collar. The Vikings would switch to their current uniform design the following season, in 2013. 4. While I can’t be 100% positive, I’m reasonably certain that it would have been difficult to purchase any Vikings jersey in April 1990. The retail jersey market barely existed at that point. Check that — many commenters have said that retail Vikings jerseys were indeed available in 1990. Mea culpa on that point. As a kicker, that reenactment scene was set in Altoona, Pa., making the Vikings jersey even more incongruous. Is any of this a big deal? Of course not. But TV wardrobe decisions are rarely made arbitrarily, and costume and set designers usually go out of their way to make reenactments look period-appropriate — that’s part of their job. So why would they choose something so obviously period-inappropriate in this case? Very strange. “Report the news, don’t make the news” — oops, too late: Tuesday’s announcement that I’ll soon be leaving ESPN resulted in an unexpected (to me) flurry of interest from other journalists. Jacob Bogage, who covers sports media for The Washington Post, interviewed me on the phone yesterday morning and quickly produced this story (WaPo link, obviously). I was also interviewed by Sports Illustrated’s sports media writer, Jacob Feldman (odd that these two guys with the same beat are both named Jacob), who I believe will have a story of his own at some point today. Update: The SI piece is now up. It’s the sub-lede on this page. It’s worth noting that these interviews — like all outside interviews I’ve done while under contact to ESPN — had to be approved in advance by ESPN’s PR department. So they could have nixed these inquiries, but instead they gave the green light, which I appreciate. As I mentioned on Tuesday, I have no gripes with the company, which has always treated me very fairly. There’s a passage in the Washington Post piece that I’d like to clarify. It’s toward the end, where I’m quoted saying, “Honestly, I don’t learn that much from uniforms anymore. There’s not much out there I don’t know or haven’t seen already.” Ugh — that makes me sound like a snotty know-it-all. Yes, I realize sometimes I really am a snotty know-it-all, but in this case the full context is that I had just explained to the Post reporter how much I enjoyed working on my recent ESPN piece about the head of the Giants’ chain crew because I learned so much from it. As I mentioned to the reporter, any journalist will tell you that the best stories are the ones that teach you things (he readily agreed), and that chain crew story taught me a lot. Uniform stories tend not to teach me so much anymore, because I’m often going over ground that I’ve previously covered in one way or another. So part of the challenge of Uni Watch is finding new ways to learn new things. Meanwhile, my continued thanks to the many, many readers who’ve responded to the ESPN news with kind and thoughtful comments, emails, and tweets, and even more thanks to those who went the extra mile by donating to the site. The outpouring of support has been very humbling. Thanks again. 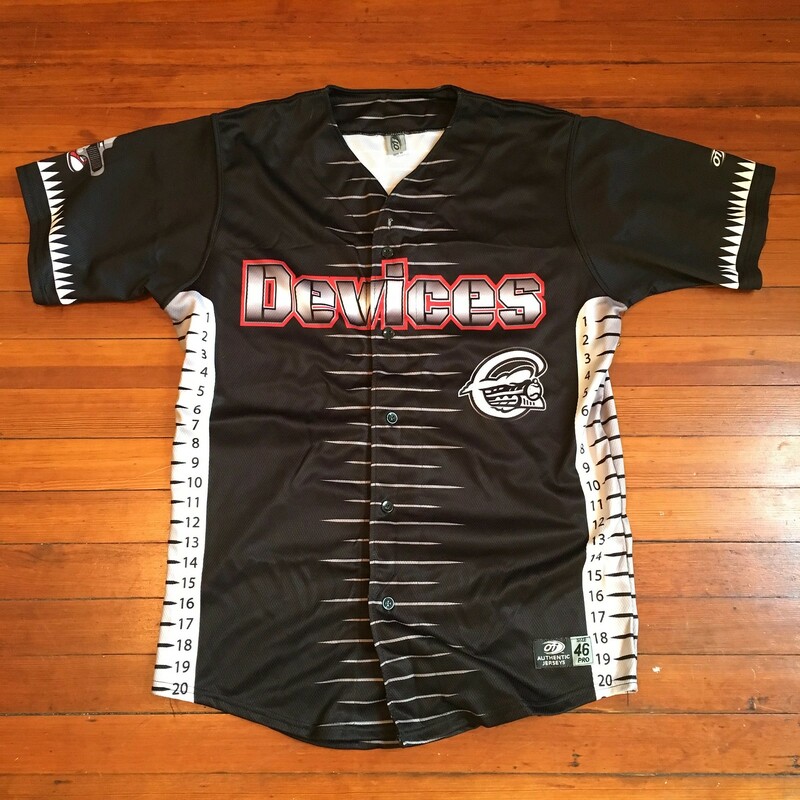 LAST CALL — raffle reminder: Today is the last day to enter our annual year-end raffle, featuring dozens of cool items (including the game-worn Syracuse Devices jersey shown above). Full details here. Start with some decent Irish whiskey — Bushmills, Jameson, Tullamore Dew, something like that (but not super-high-end stuff, because the nuances will be lost in this preparation). Pour a pint of the whiskey into a large-ish container and mix it with a can of sweetened condensed milk; a pint of heavy whipping cream; a tablespoon of chocolate syrup; a teaspoon of vanilla extract; a teaspoon of instant espresso dissolved in two tablespoons of hot water; and a quarter-teaspoon of almond extract. Mix well (if the container has a tight lid, you can just shake vigorously), refrigerate, serve over ice, and get ready to become the most popular person in the room. No need to thank me afterward, but you’ll want to do so anyway — trust me. Enjoy! Cincy reminder: In case you missed the news last week, I’ll be visiting Cincinnati for the last weekend of the year and will be convening a Uni Watch gathering at the Mt Adams Bar & Grill on Sunday, Dec. 30, at 3:45pm. We’ll be there at least until 6pm, and maybe a bit longer. Uni Watch Ticker assistant Alex Hider, who produces the Tickers that appear on Tuesdays, will be on hand (I’m looking forward to meeting him in person for the first time), as well several other longtime Cincy-based readers like David Sonny, Patrick O’Neill, and Frank Bitzer. Come on down and join us, won’t you? 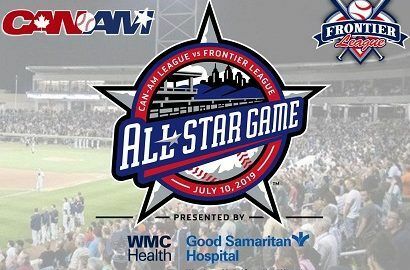 Baseball News: New logo for the 2019 Can-Am League/Frontier League All-Star Game (from Steve Johnston). … The new Spider-Man movie has a shot of NBA player Blake Griffin in a New York Red Sox uniform. … The Mariners’ stadium doesn’t just have a new corporate name — it also has a brutal new color scheme (from Tim Dunn and Dave Sizer, the latter of whom says, “I will be calling it the Pepto Palace”). … OF Michael Brantley, who wore No. 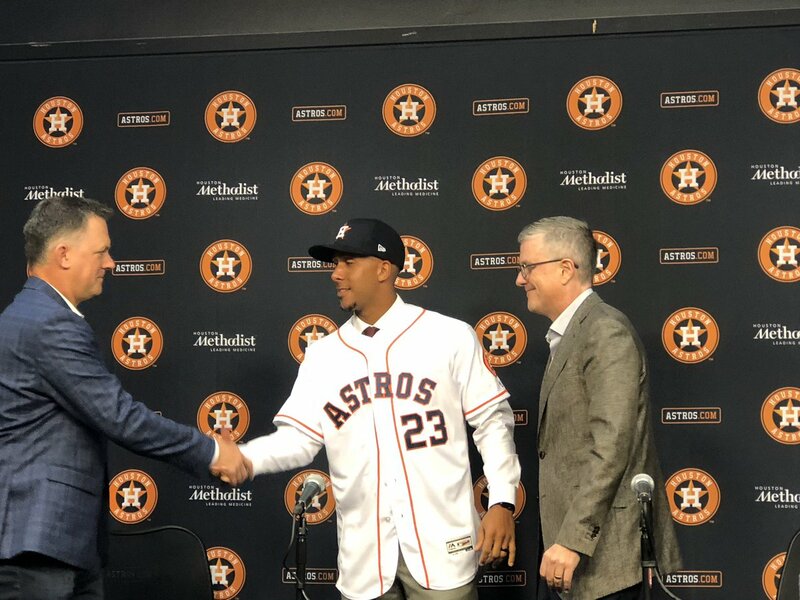 23 with Cleveland, will continue to wear that number with the Astros (from Ignacio Salazar). 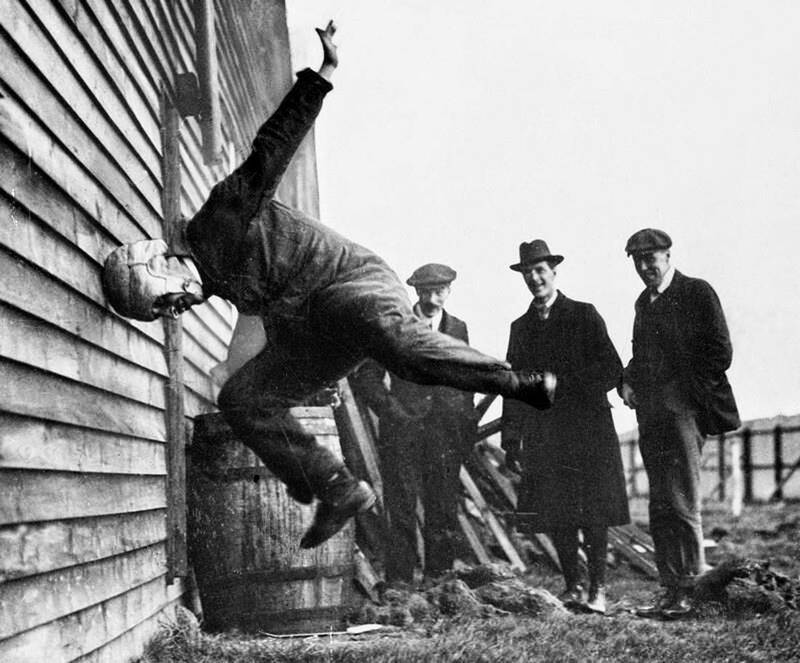 NFL News: Hmmmm, is this an early example of helmet testing, or just Gus Frerotte’s granddad? (Photo and joke both courtesy of HelmetHut honcho Curtis Worrell.) … Here’s a slideshow of this season’s Super Bowl volunteer uniforms (thanks, Phil). College and High School Football News: There are signs that UCLA might be bringing back mono-white alternates next season (thanks, Phil). 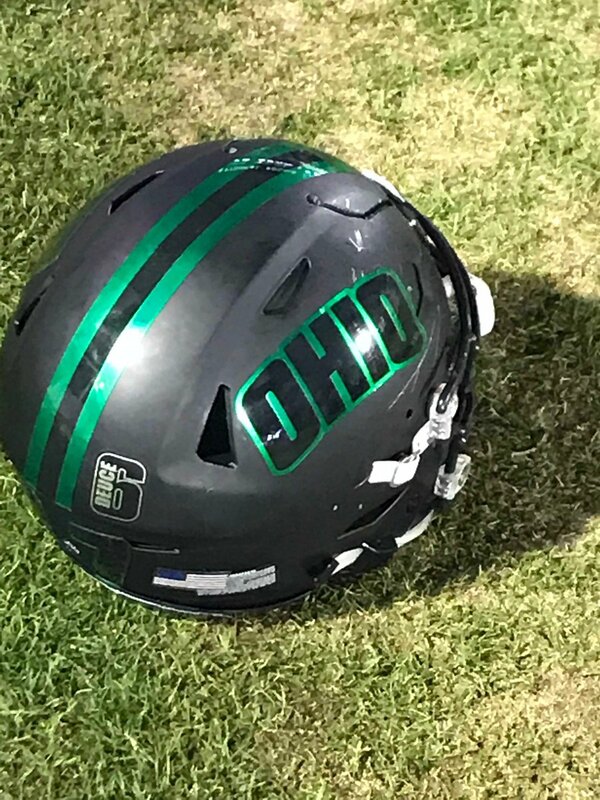 … New helmet look last night for Ohio (from our own Alex Hider, who’s a proud Ohio alum). … Gruver High School uses the logo from the Houston Gamblers of the old USFL (from Ignacio Salazar). Hockey News: Bruins D Zdeno Chara was supposed to wear a red no-contact jersey at practice the other day, but they couldn’t find one big enough for him. … Hurricanes G Petr Mrazek is featured on the new logo for the 2020 World Junior Championship (from Noah Lawrence). 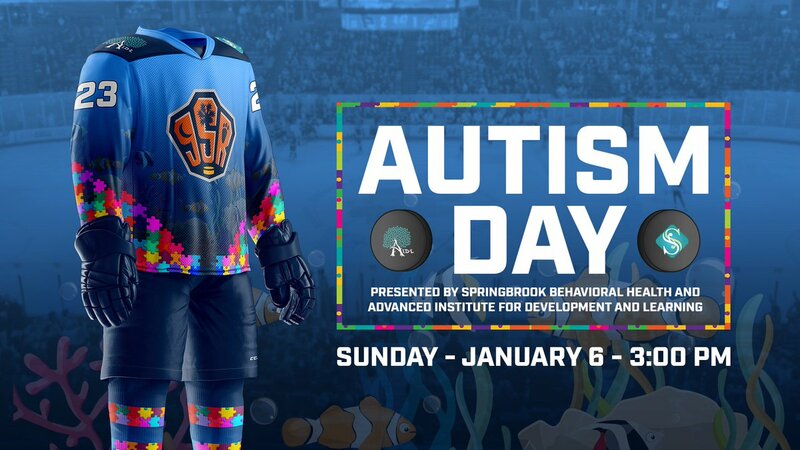 … Austism-awareness uniforms upcoming for the Greenville Swamp Rabbits. … The Hurricanes will wear Hartford Whalers throwbacks on Sunday, and they were breaking in the pants at a recent practice (thanks, Phil). … Two weeks ago I reported that a source had told me the Blackhawks would probably have a new collar design next season. Now Matt Cashen reports that Blackhawks jerseys are 50% off at the team shop, which seems to confirm that something new is in the works. … Here’s a photo that shows five Islanders fans in the stands wearing five different jerseys. Pro Basketball News: In yesterday’s lede, I mentioned that I’d asked the Thunder about their status as the last remaining ad-free team but hadn’t gotten any response. Heard back from them late yesterday afternoon, as follows: “We are open to exploring options and fielding inquiries but are in no hurry to move forward with a jersey patch.” Make of that what you will. … New uniforms for Columbian Dyip, a team in the Philippine Basketball Association. 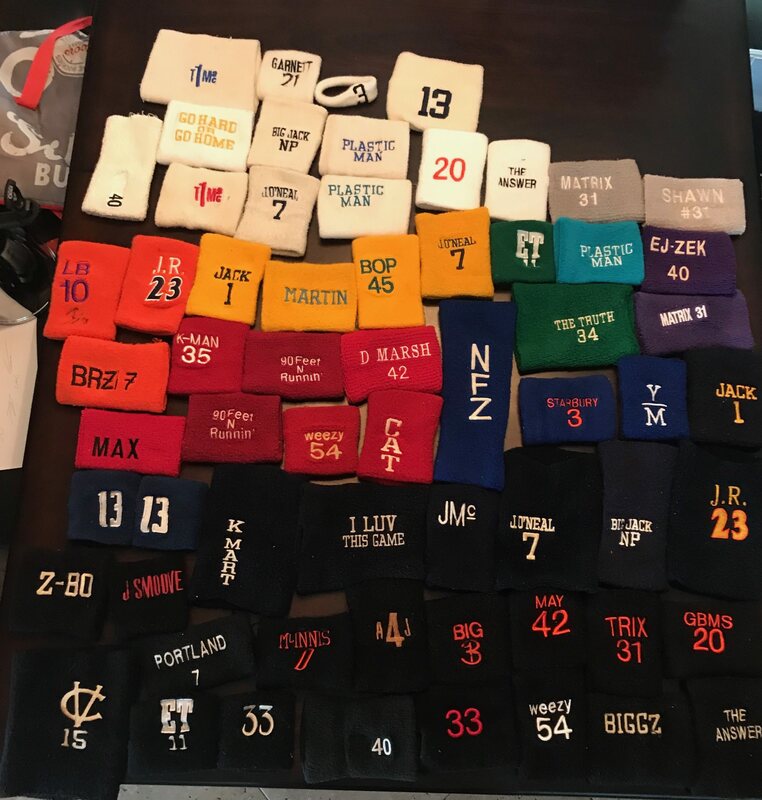 … This is pretty cool: There’s a guy on Reddit who has a big collection of game-worn NBA armbands. Further info here (from Tyler Adams). … Cross-listed from the baseball section: The new Spider-Man movie has a shot of Pistons F Blake Griffin in a New York Red Sox baseball uniform. 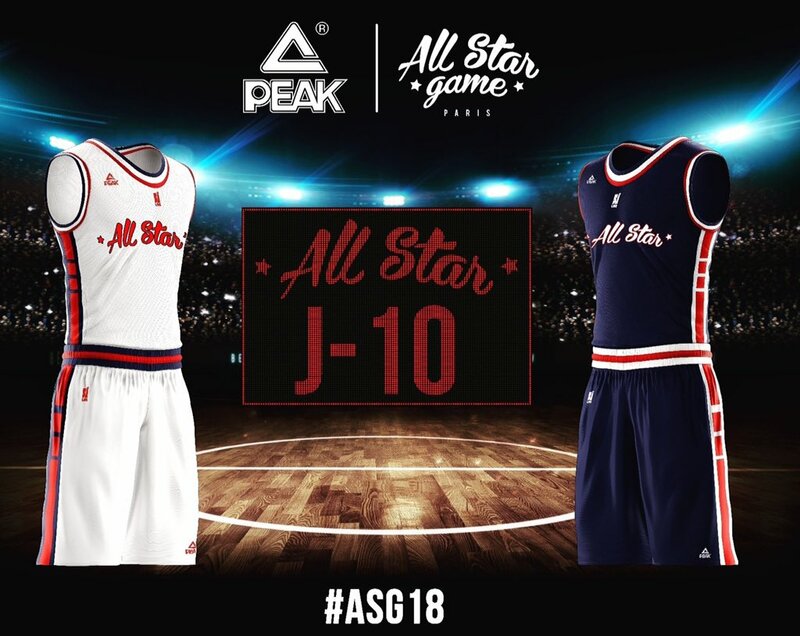 … New uniforms for the French 1st Division All-Star Game (from Etienne Catalan). … Ben Simmons and Jimmy Butler of the Sixers put some thought into their headbands last night (from @BoyGeniusLA). College and High School Hoops News: USC F Nick Rakocevic tore his jersey the other night and had to go with a NNOB replacement jersey (from John Lambert). … UNC has extended its deal with Nike. That deal also includes a personal services contract for UNC coach Roy Williams (from James Gilbert). 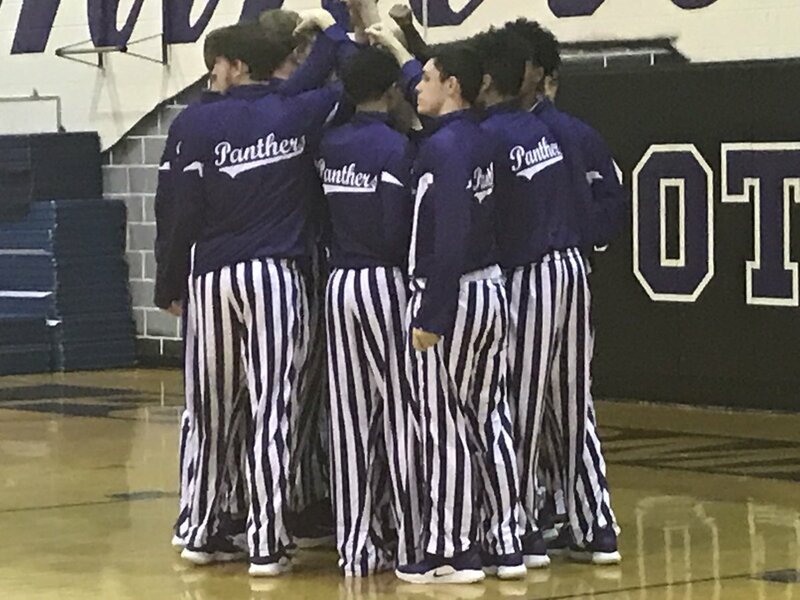 … Potomac Falls High School in Virginia has Indiana-style candy-striped warmup pants — but in purple (from Jason Walker). … Several good looks at DePaul’s early-’80s untucked jerseys here. … Robert Becker, who coaches a girls’ high school team in Illinois, wore a music-playing Christmas tie last night (from Ben Zoss). … Holy moly, look at this spectacular Minnesota uniform. That’s Kevin McHale driving toward the basket (from @Throwback_Sport). … Bit of a uni snafu in Kentucky high school hoops last night (from Brian Davis). Soccer News: Chelsea midfielder N’Golo Kante is leaving Adidas (from Josh Hinton). … India is leaving Nike and has a new kit deal with Six5Six (from Ed Zelaski). 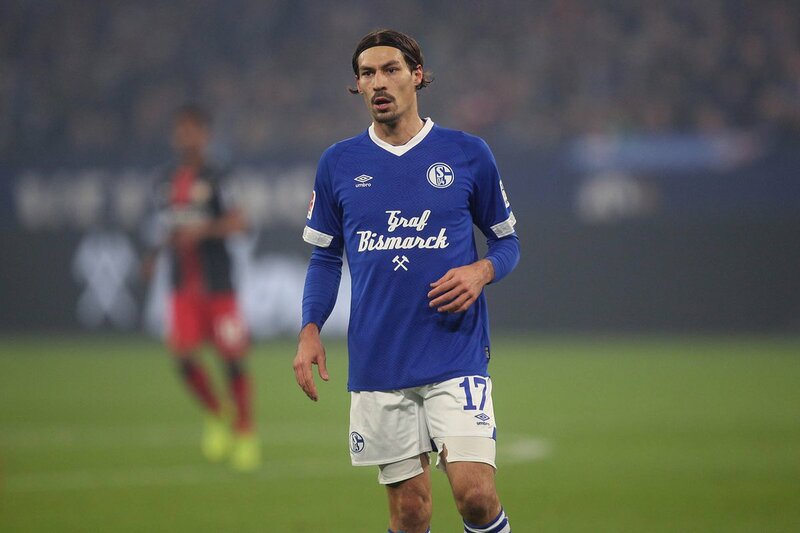 … Nate Rathjen, brother of our own Jamie Rathjen, reports, “Schalke are wearing special jerseys to honor the closing of the last two German coal mines on the 21st. Instead of the Gazprom ad, each jersey carries the name of an important mine. 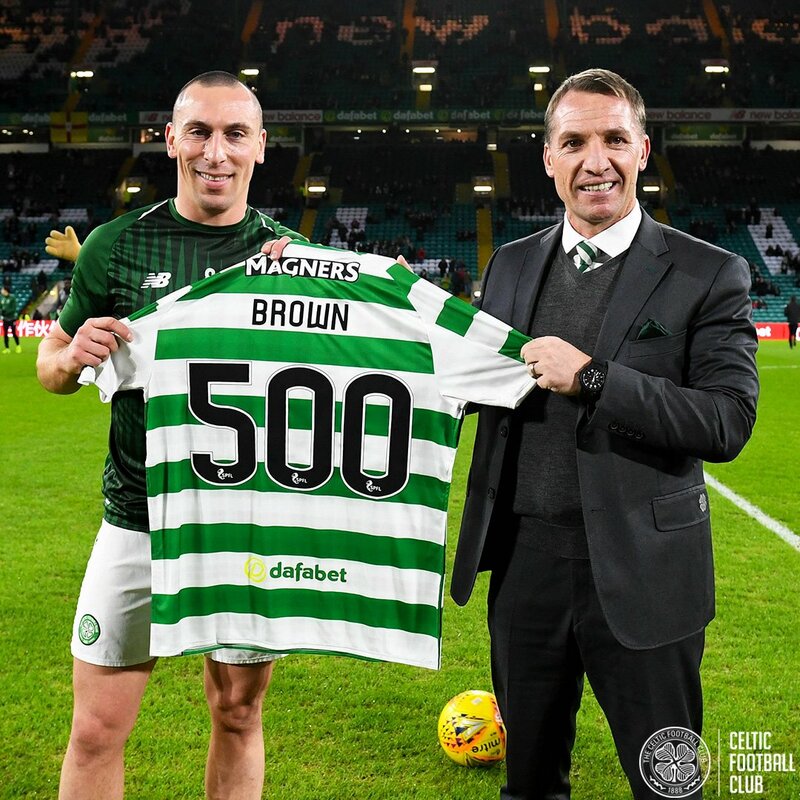 First time ever the Bundesliga has allowed different jersey fronts.” … Celtic created a commemorative jersey to celebrate midfielder Scott Brown’s 500th game with the team. “They also put the front advertiser on the back, because of course,” notes Ed Zelaski. Grab Bag: More than half of American Airlines’ pilots have complained that their new uniforms are causing health problems. … Really sharp 50th-anniversary logo for the Graphic Artists Guild (from James Gilbert). The Occam’s Razor answer to the Vikings jersey question: the show likely has a budget of a buck-and-a-half, so they grabbed any jersey they could find (it might even belong to the actor) because they knew their audience wouldn’t care. Why use *any* jersey, especially since jerseys can be traced to specific time frames? Why not just have him wear, you know, a shirt? It signifies he’s a “jock”. Exactly. Big dramas like “The Americans” sweat period detail to absurd lengths, such that stuff the audience will never even see is often period-correct in order to ensure that the verisimilitude has depth. Quasi-reality programs like this one often do ask the actors to costume themselves. And where do we get the idea that an NFL jersey would have been unlikely in 1990? I was in high school in Minnesota that year, and Vikings jerseys (fancy shirseys, mostly) were available and worn. The fashion for wearing sports jerseys was already a big thing at vintage and used shops like Ragstock. I bought my first jersey from Ragstock in ‘90 or ‘91. This here website frequently features retail catalogs from the 1970s and 1980s that depict NFL jerseys (or fancy shirseys) for sale, and one of the most famous TV sequences of all time featured a woman wearing a Vikings jersey as street clothing in the 1970s. So no, it is not at all anachronistic to show a random dude wearing an NFL jersey in the first Bush administration. Thanks to everyone for setting me straight about jersey availability in 1990. I’ll adjust the text accordingly. Ha! But I’d readily acknowledge that there’s a *lot* I don’t know about retail jerseys. As I’m sure you’re aware, that’s never been my thing — as I clearly showed today! Having been around in those olden days, I can assure you that NFL jerseys were not commonly worn by fans, and I think you would have needed a special catalogue or a visit to a Sears with an NFL section to get one. These shows are the entry-level into television work. These production companies literally place ads on Craigslist looking for actors and crew. Once filming starts, somebody asks the actor – who will be playing the jock type – “hey do you have some sports apparel?” “I have a Vikings shirt my grandma got me.” “Perfect! Bring it in!”. No questions, no clarification, no contemplation. i can vouch for the irish creme recipe. a few times now I’ve bumped the recipe up from pint-sized to handle-sized and bottled finished pints to give as gifts. Been gifting this stuff to select neighbors and friends each Christmas season for years…it pairs well with the baked goods they receive from everyone else! Here’s a press release from Schalke on their jerseys: https://schalke04.de/en/inside-en/fc-schalke-04-bids-emotional-adieu-to-the-coal-miners/ I literally couldn’t find an article in English that wasn’t copy/paste of that release, so Uni-Watch exclusive? Schalke has a deep connection to the local mining industry, which for decades formed a core of its supporter base and, in the early days, a source of players. The first-team nickname is “die Knappen” (an old word for miners) and its academy is called “die Knappenschmeide” (Schmeide meaning smithy, so where Knappen are forged), and a traditional miners’ folksong is sung before every game and forms a common greeting among fans. 2,000 former miners were invited to the game. Thought your WP comment was justified reality, there’s been such an explosion of uniforms, that it’s very difficult to come up with any thing truly original anymore. Of all the random ones I could imagine, I ran across a “Greetings From Brattleboro, VT” mural last weekend. Jersey sales in the 1980s/early 1990s weren’t what they have become today but they were around. Each mall seemed to have one store that had a good stock of jerseys. Every kid growing up near me in suburban Philadelphia had a Flyers jersey, fully embroidered and everything. My 9-year old now has my Rick Tocchet #22. Can’t call it a throwback, since it is actually from 1987. and one of the stores in the mall had all the NFL teams. Interestingly, all of the NFL jerseys were NNOB when all the teams had gone NOB years before. And they were mostly heat-pressed numbers, which was appropriate back then – only the Steelers, Browns and Raiders had sewn-on twill. Even back then, I Got It with the details at least. All that being said, that jersey is a foul for a dozen reasons. Yes, you could still get the NOB NFL jerseys it was just they were much harder to find. The typical retail replica jerseys sold for “reasonable” prices went NNOB a lot of the time, I think as a way to differentiate from the real deal. I can recall getting a Marshall Faulk Colts jersey for Christmas his rookie year (with 75th anniversary patch and all) and it being such a big deal because it was the authentic ones you ordered from the catalog with the tackle twill numbers etc. Incredibly rare in those days. There was a great store in Bloomington, MN that had just about every NFL team’s blank jersey and you could get heat-screened numbers and NOB. I still have my Boomer Esisason Bengals one. I think it was called All Pro Sports or something. It was probably right around 1990. They were better-quality replicas than are made now. My Philly neighborhood and one’s a long walk/short bus ride away had a few mom-and-pop sporting goods stores operating in the 80’s where one could buy and customize a pro team jersey. I have no idea how they got their hands on inventory though. Word of mouth probably helped keep them awash in jersey sales until Herman’s and Gold Medal essentially did them in. There was a chain of shops called Spectrum Showcase (a wholly owned subsidiary of Ed Snider’s Spectacor? )that sold authentic and replica jerseys for (all?) the Philly pro teams, as well as doubling as a ticket outlet. Did they all close after “Spectrum II” opened? As for quality, I wore the hell out my Sears NFL jerseys (owned several throughout my grammar school days) and only ever outgrew them. They were an Ed Snider jawn. We had a couple in South Jersey. The NFL does realize that those volunteers don’t need a winter jacket, hat & scarf for an indoor game played in the deep south. Yes,but if you’re a volunteer at an outdoor fan-fest (at nearby Centennial Olympic Park, for example), or staffing an outdoor visitors information booth, or acting as a greeter outside the stadium, you might appreciate having cold-weather gear. 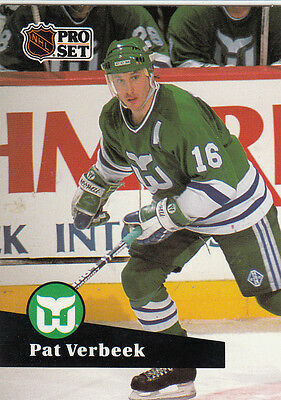 I really hope the Hurricanes goalies have a set of green and blue pads and masks for those games dressed as the Whalers. Would tarnish the experience without this. Pants don’t look quite right; maybe it’s the angle, but it looks like they’re using a Northwestern stripe, which the Whalers never wore. Should be three white stripes of equal width, separated by two thinner blue stripes. You’re right PaulS – noticed that as well. The 3 white stripes are the same width in the old days. You could definitely buy a Minnesota Vikings replica jersey in 1990, although certainly not one like the one in that show. How do I know? In September of 1990 I was given a #75 Vikings replica jersey of the All Pro defensive lineman Keith Millard as a birthday present. Less than a month later I wore it to the game against the Buccaneers at which Keith tore up one of his knees and never played for the Vikes again. That was a life lesson moment. On the basis that players are merely temporary and an expensive jersey can instantly be rendered out of date but my Vikings fandom is undying, in my subsequent and now concluded jersey buying days, I always personalized Vikings jerseys with #2, a number rarely used by Vikings players and stayed far away from any player names and numbers. My wife watches a lot of investigation discovery(ID) and she gets mad when i point that stuff. They are really bad at using time period correct cars in there shows, i’m pretty sure there are couple in the picture from the lead. It is really obvious when the year/make/model/color of the car is a key part of solving the crime and the vehicle they chose doesn’t match at all. Looking at the production value and acting in a lot of there shows it crazy to think they are currently one of the most watched cable channels. T-Mobile Field…..I can’t unsee it. Paul, have you ever researched/written about the mustachioed “pizza box guy” who appears in today’s blog (and wherever fine Italian-American cuisine is served)? Today’s lead item reminds me that “12 Dogs of Christmas: Great Puppy Rescue” entered my Christmas movie watch list this season. The movie showed a high school basketball team that appeared in the big musical number; I couldn’t say anything about their uniform numbers, as there were no rules at the time, but they did their part in rap style, which did not exist in 1937! The only saving grace was when all the dogs from the pound went into the audience, and onto the stage, and people went home with them after the show. It was like one of the recent Phish New Year’s Eve concerts at Madison Square Garden. My guess is, this is a cheaply made show where quantity is more important than quality. They probably told the wardrobe person he was a football fan, and they grabbed what was available. Who knows, the episode could have been shot in Minnesota. Chances are, nobody on set knew or cared enough to use something else. Heck, they probably bought it, left the tags on, and returned it right after shooting. If I worked on that crew, I’d have been hopping up and down about that jersey and they’d have fired me. I believe McHale’s driving past Magic in that beautiful photo. From what I’ve seen, the IIHF logo template for its World Championship events is specific. Logos show the host country’s flag or other national symbol, along with a depiction of a player or equipment (i.e., a stick, puck, etc. ); remember the logo for the Women’s U18 tournament in Japan that appeared in the blog a few days ago. A black wordmark on a black helmet. I would be ashamed to be an Ohio alumnus. Bigger than changing sponsors, I hate when those new sponsor deals lead to new venue designations. Seattle, if they needed new naming rights, should be playing at T-Mobile Field, not T-Mobile Park. Sorry for being dense, but Safeco Field is becoming T-Mobile Park? Those jokers are not getting a new stadium, are they? Historic Consultant: Your hair and dress should look like this. Set Designer: But it doesn’t look good with the rest of the setting. Actor/Actress: There’s no way I’m wearing my hair like that. And green isn’t my color, I want to wear blue. Director: Fix the hair. And get the blue one. Not a uniform story per say, but a sports story with an attire aspect. I mean when you go to speak in front of city council, I assume you usually dress like an adult when you want to be taken seriously. The tiny backpack is the best part, this pretty much exactly how my nephew looks when he goes to preschool in the morning. Lynch just made my day with that get up. Great McHale/Magic photo. Fun to see the future Celtic in gold and the future Laker in green. So sorry Paul. I was layed off by the AP and CNN. Somebody contacted me saying they were looking for researches that had been layed off from major news organizations. I couldn’t even get a interview. At the AP the library got the internet first. The day we got it my coworker layed into me. She wanted to know what the hell was wrong with me. Most things in life I’ve gotten wrong. But that one I nailed. I asked if she could not see what this meant. I told it will take about 10 years, but when those 10 years are up we are gone. And we were. I’m not even going to check this for a response. But the internet has destroyed journalism. All my best to you Paul. Too bad that Devices jersey doesn’t Respect The Placket. Otherwise I’d wear that. “We are open to exploring options and fielding inquiries but are in no hurry to move forward with a jersey patch.” Make of that what you will. Take your sweet old time, Thunder. Once you give in you will no longer be My New Favorite Team. These shows with reenactments never bother to fit period correct items into their productions. Was watching one the other day that was supposed to take place in 1970 and the family had a car from the early 1990’s. I think they basically say, hey it’s supposed to be 1970 – NO CELL PHONES ON SCREEN – DONE. How is UniWatch girl mascot Caitlin? Did you find a reason for the early morning meowing? Just the other day I was mentioning to my daughter how horrible it would be to work in a T-Mobile store with that horrible pink lighting. That has to be bad for one’s health. As always, that Baileys recipe is the truth. Make it every year, and it’s a hit every year. As a 15 year old reader of the Uni Watch blog and a ESPN fan I’m sad to hear that I won’t be seeing your work on espn. You have made me noticed the smaller details in sports and how there is more to a creation of a jersey than what is on the field/court. I hope this blog will be kept up for years to come, it is a privilege to read a blog with actual content without a monthly subscription or fee. Good luck finding a new job in this electronic world and keep up the good work!